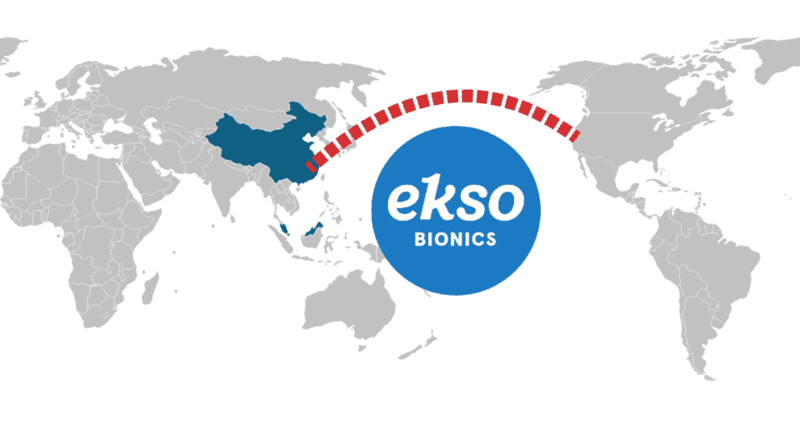 What Need can Ekso Bionics Fill in China? Just like in the western world, stroke-related illnesses are a leading cause of death in China. There are millions of stroke patients in Asia (the Ekso Bionics press release puts the number at 12 million) with many having some level of disability. The company announcement estimates that there are upward of 2 million with spinal cord injury in China alone, with additional ~120,000 new cases occurring annually. According to the presentation by Fourier Intelligence CEO Jie Gu, at WearRAcon17, China is very much interested in bringing all of these people back into the workforce or at the very least, ensuring that they will be self-sufficient. For that purpose, there are hundreds of new physical rehabilitation centers being built throughout the country. There is a catch, however. Building the facilities for a rehabilitation center, while expensive, is not as complicated or time-consuming as training a small army of physical therapists to fully staff them. Even if all of the academic institutions are already in place, training of thousands of new physical therapists takes years. Furthermore, it is widely accepted that physical therapy itself is a very strenuous occupation with many therapists becoming injured themselves. From this point of view, building rehabilitation centers is easier than staffing them. This is where medical exoskeletons like the Ekso GT can help. For example, if it takes three physical therapists to ambulate the legs and hips of a patient vs taking only one therapist to operate a powered exoskeleton. Different exoskeletons (upper body, lower body, stationary over a treadmill, etc…) can be used as powerful tools and job aids for physical therapists. Not sold on the idea? Another example is powered glove type exoskeletons. When performing exercises, the therapist can have their hand over the patient’s hand to help them practice grasping objects. Potentially, a single physical therapist can simultaneously collect the data and control the assistance level of multiple patients equipped with powered gloves. 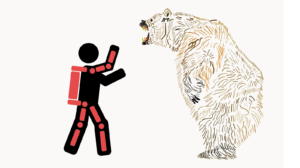 It must be emphasized that the exoskeletons and wearable device are not meant to replace the physical therapist, but reduce the physical demand on them while providing them with more consistent ambulation and constant flow of useful information from the onboard sensors. Of course, Ekso Bionics is a leader in both medical and industrial exos. The manufacturing center that is planned in the joint venture will be also used to roll-out industrial exos, presumably for Asian factories. Finally, while Ekso Bionics has had significant experience with adapting its intellectual property for military applications, there is no mention of a partnership with the Chinese Army, which has been extremely open about its interest in providing wearable robots, power armor or load assist devices to its infantry. “A portion of the joint venture capital will be used to construct a manufacturing facility in Zhejiang” The facility will manufacture exoskeleton components, EksoGT, EksoVest and EksoZeroG Arm, at scale. On the surface, it may appear that Ekso Bionics is in competition with other exoskeleton developers and suppliers in China, but while that may be the case in the (distant) future does not appear to be the case now. Looking at the numbers, Ekso Bionics announced that to date it has shipped 354 Ekso GT powered exoskeletons for gait rehabilitation. Recently, ReWalk announced that they have shipped their 500th unit. Together, that is less than 1000 units for the entire world. Adding up all of the fixed frame powered exoskeletons (usually suspended over a treadmill) and all other major suppliers there are likely less than 3000 powered lower body exos in use on the planet. If we assume each lower body exoskeleton for walking assistance is used for 1.5 hours at a time, and minimum adjustments from user-to-user take place, that is only 4 to 5 patients served per exo daily. If China is indeed looking to empower their new generation of physical therapists with wearable robotics, a few hundred units are not going to cut it and they will have to utilize multiple suppliers and developers for years to come to fulfill the demand. This is a bold deal for Ekso Bionics, but only time will tell if this is a good deal for the company.